Many a times we deal with GSM Modems and its connectivity with PLC. Many applications are done by connecting the Modem with PLC. So PLC Programmer must be familiar with the popular AT Commands that need to be used while using Modem. Today in this post we will focus mainly on some of the most used AT Commands in PLC Programming. GSM Modems are generally connected with PLC to send and receive messages. Also we can connect GSM Modem with SCADA directly to send and receive the text messages. We will see the most used AT commands here, their meaning and uses. 1. A+WS46: Select wireless network. This AT Command is used to selet the wireless network out of the available networks. 2. AT&F - To reset the Modem to Default Condition. When this AT Command is written in the AT Window the Modem will reset to Default Factory Settings. 3. ATI: Request identification information. This command is used to to get specific information from the multiple types of identifying information, specified by the manufacturer. 4. AT+GMI - This AT Command used to Request manufacturer identification. 5. AT+GMM - This AT Command used to Request model identification. 6. AT+GMR - This AT Command used to Request revision identification. 7 .AT+GSN - This AT Command used to Request product serial number identification. 8. AT+DR - This AT Command used for Data compression reporting, if the value is 0 then Data compression reporting disabled (no DR result code transmitted), if it is 1 then Data compression reporting enabled (DR result code transmitted). 9. AT$TIME= - This AT Command used to set the time in RTC. It uses the 24-Hour format. 10. AT$DATE= - This command is used to set the date in RTC. Hope that these AT Commands will be helpfull to you. 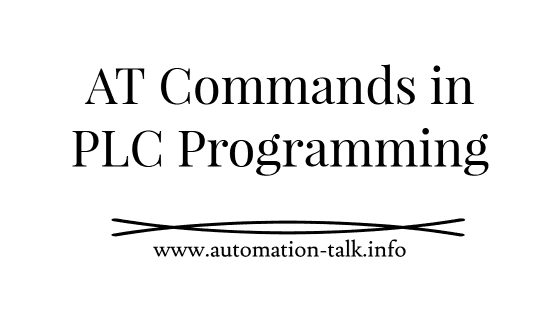 We will be further discussing more about other AT Commands, till then you can subscribe to get all latest Updates via Email.Subscribe to Automation-Talk by Email.